With its combination of rear-wheel drive, turbocharged power and exquisite balance, the BMW M2 is arguably one of the best-driving BMWs of recent years. But brace yourself…there's a new upstart coming to the block in the even more hard-core M2 Competition announced earlier this week. Replacing the 'standard' M2, the BMW M2 Competition gets a new engine: the twin-turbo in-line 6-pot as planted in the M3 and M4. In the M2 Competition, this engine produces 404bhp and 552Nm of torque, increases of 40 and 85, respectively, over the M2. Both six-speed manual and seven-speed dual-clutch transmissions will be available, the latter with adjustable shift programming. The extra power means the M2 Competition will sprint to 60 miles per hour in as little as four seconds flat with the DCT, or 4.2s with the manual, both improvements of 0.2 seconds over the base M2. BMW fits the M2 Competition with a new exhaust system, with two electronically controlled flaps designed to deliver 'the distinctive BMW M sound'. On the face of it, that's all well and good, but we're hoping the M2 Competition sounds better than the aurally-challenged M3 and M4, which use a similar setup. Fingers crossed, eh? To complement the power increase, the M2 Competition gets a number of chassis improvements, also borrowed from its M3/M4 siblings. Aluminium-intensive front and rear axles are stronger and are said to improve stability, while under the bonnet the carbon fibre strut brace from the M3/M4 will aid front-end rigidity. Recalibrated steering and stability control systems will apparently set the Competition apart from other M2s, though I hope the new steering setup isn't as numb and devoid of character as in the M3 and M4. Additionally, an electronic limited-slip differential helps manage power at the car's rear axle and larger M Sport brakes – with four-piston front and two-piston rear calipers – should offer improved stopping power. The brakes sit behind new 19-inch wheels, wrapped in 254/35-series front and 265/35-series rear rubber. Inside the cabin, the M2 Competition gets M Sport seats with lit M logos. 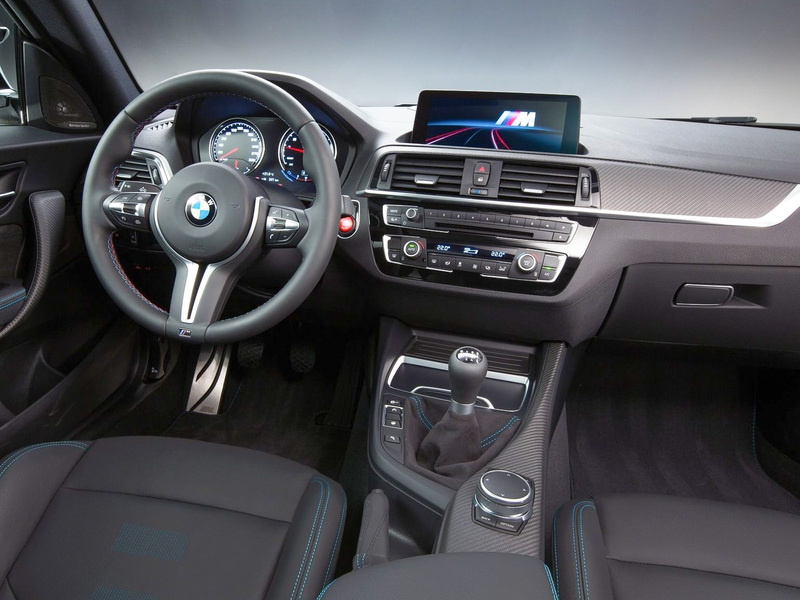 Otherwise, the interior is largely carryover from the standard M2 save the addition of selector switches on the center console for various M modes, stability control settings and shift logic on DCT-equipped models. 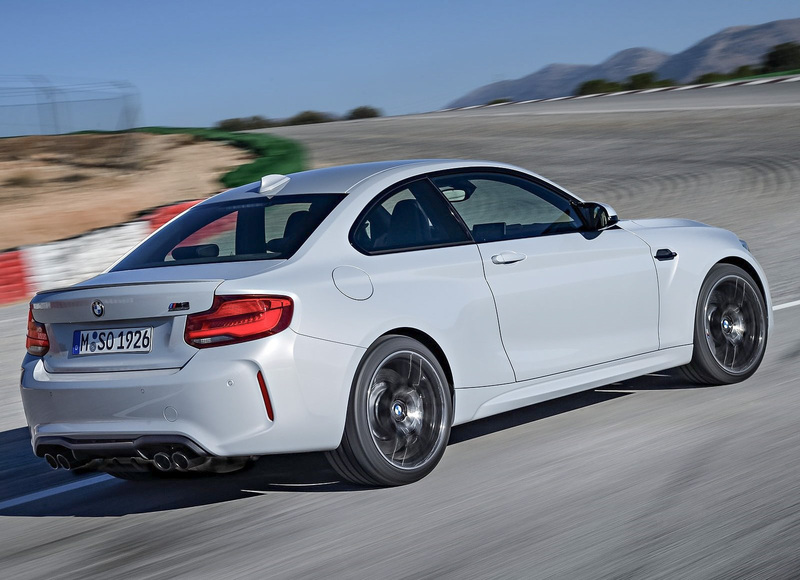 ➤UK orders for the BMW M2 Competition open in May, so call and have a chat with our award-winning Customer Service Team on 0800 043 2050 to discuss our best leasing deal.